Posted on 31, March 2016 by EuropaWire PR Editors | This entry was posted in Business, Education, Management, Society, United Kingdom and tagged advantages of having women in prominent board positions, Professor Sheila Ellwood, University of Bristol. Bookmark the permalink. BRISTOL, 31-Mar-2016 — /EuropaWire/ — Women in prominent board positions could help organisations improve corporate social performance, new research claims. Professor Sheila Ellwood, from the University of Bristol’s Department of Accounting and Finance, studied the influence of women on the boards of directors of National Health Service Foundation Trusts. 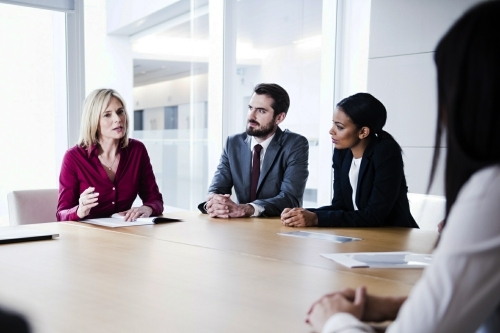 Her research found having women in the top jobs – chair and chief executive – appears to be effective in helping boards meet the organisation’s social goals. Professor Ellwood said: “Female presence on boards positively affects the organisation’s corporate social performance. Women are considered more socially oriented than men, which can result in more effective board decision-making, particularly on aspects related to social responsibility. The findings, highlighted in a PolicyBristol briefing, come at a time when focus is increasing on the number of women on boards. Last week, leading financial services firms agreed to sign up to a new government Charter, designed to improve gender diversity in senior positions in the sector, following a review by Jayne-Anne Gadhia, the chief executive of Virgin Money. The Davies Review in 2011 recommended FTSE 350 companies put strategies in place to improve female representation on boards to 25 per cent, and report on progress. However, the Equality and Human Rights Commission reported last week that 45 per cent (45) of FTSE 100 companies and 61 per cent (213) of individual FTSE 350 companies have not reached the 25 per cent target. For executive roles, the position is worse, nearly three quarters of FTSE 100 companies and 90 per cent of FTSE 250 companies had no female executive directors at all on their boards. Only five per cent of FTSE 100 companies have a female CEO and three per cent have a female Chair. The research found that once significant gender diversity has been reached, more women executive and non-executive directorships neither harms or improves financial performance or service quality. in FTs, females occupy 29% of the Chair positions and 36% of the Chief Executives seats. PolicyBristol aims to enhance the influence and impact of social science and law research from across the University of Bristol on policy and practice at the local, national and international level. Based at the University of Bristol, it provides a key point of contact for organisations and individuals seeking to collaborate with academics from the University of Bristol on policy-relevant research.